« It’s Race Day at Barber Motorsports Park! I have an idea that watching this race on television was fascinating. But the one disadvantage of attending a race in person is that you’re not exactly sure what all is going on. Fortunately, technology allows us to go back and watch the replay to find out all of the strategies that were going on.But as we sat on the hill overlooking Turn Two, we could not hear a thing and the video board beyond Turn Three really didn’t tell us much. After just a few laps, many cars that were running further back made early pits stops. That told me that there were many different strategies taking place, but going old-school up on the hill with poor cell service – all I had to rely on were my eyes and my not-so-good memory. There was only one yellow, on Lap 57, when Max Chilton crashed into the tire barrier going into Pit-In. 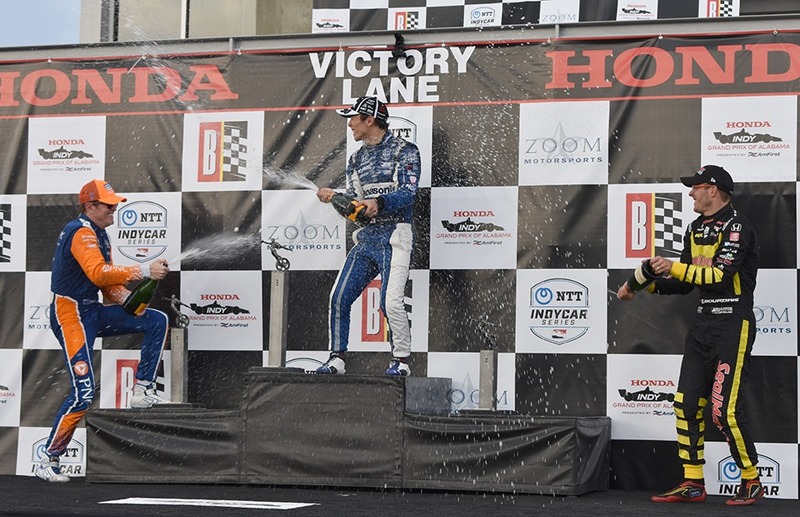 At the same time, Graham Rahal coasted to a stop with a stuck throttle on the backstretch. I was a little perplexed sitting and watching from Turn Two, because it appeared that all of the leaders were allowed to pit before the full-course yellow came out. 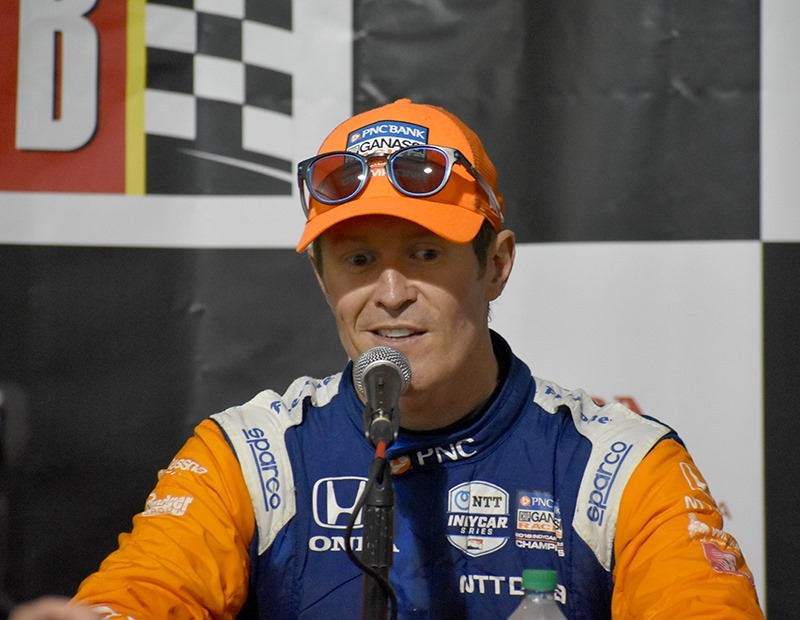 I thought it was a little strange, but in the post-race press conference – Scott Dixon said he was in favor of doing that when the situation allows it. He compared it to how IMSA handles such situations. I like that tactic better than leaving the pits closed for several laps. When the green flag came back out on Lap 64, I went down to the fence to take a video of the restart, but I was too low to get any perspective. By the time I got back to where we had been sitting, they came back around for the second time. I did another video and zoomed out to get a good shot of the eastern portion of the track. 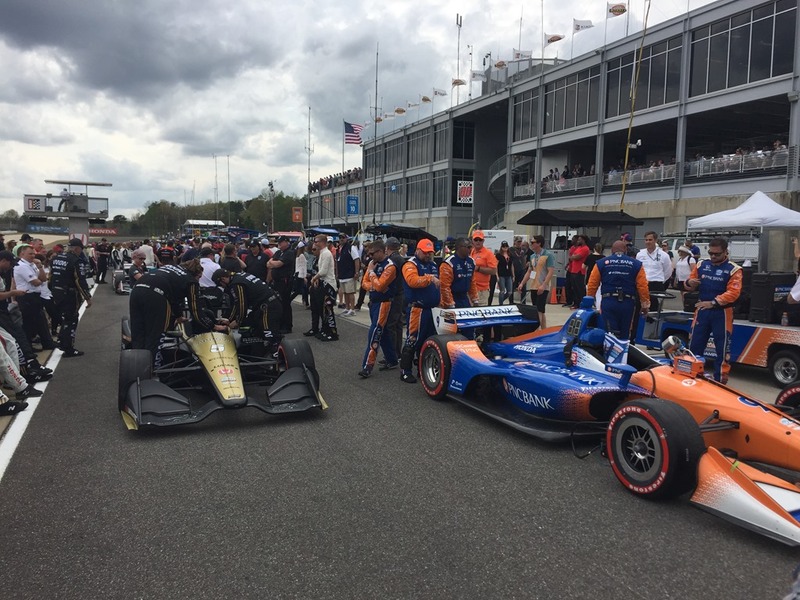 Here are a few photos that Susan took for me during the day, before during and after the race. 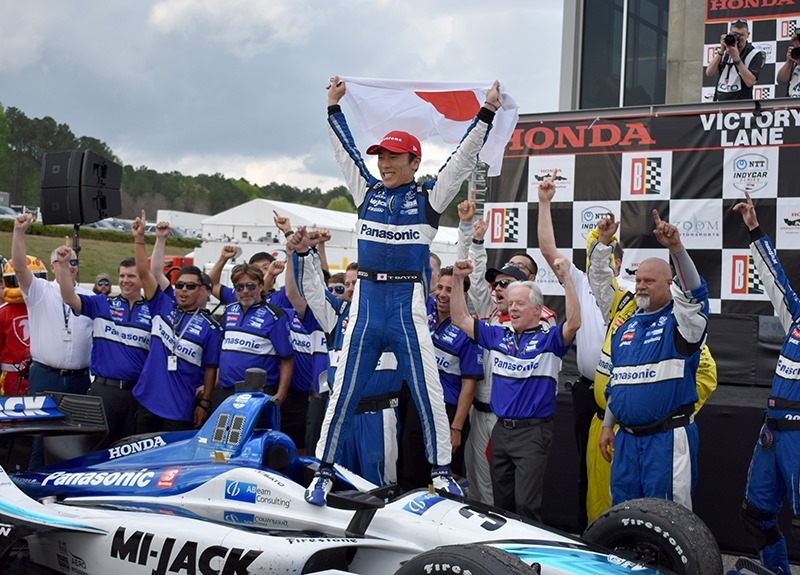 So congratulations to Takuma Sato and Rahal Letterman Lanigan Racing. 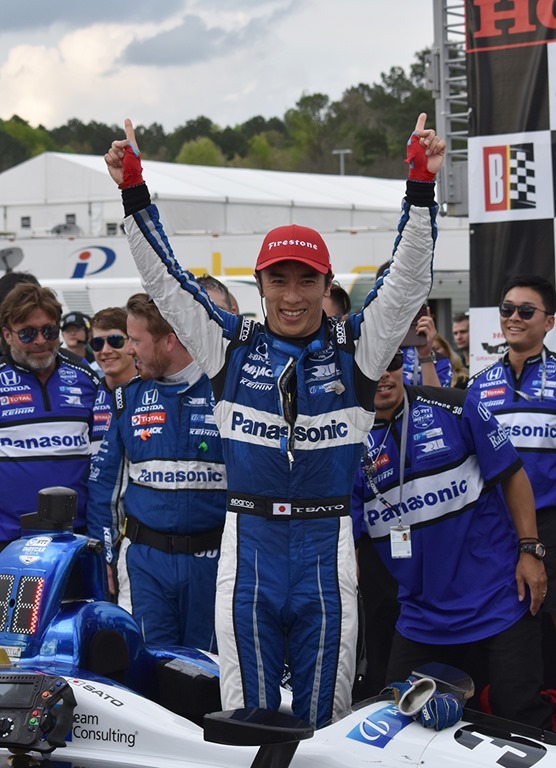 Going back to Portland last season, Sato has won two of the last four NTT IndyCar Series races. That’s pretty strong. This team has really made strides. Sweeping the front row was no fluke. 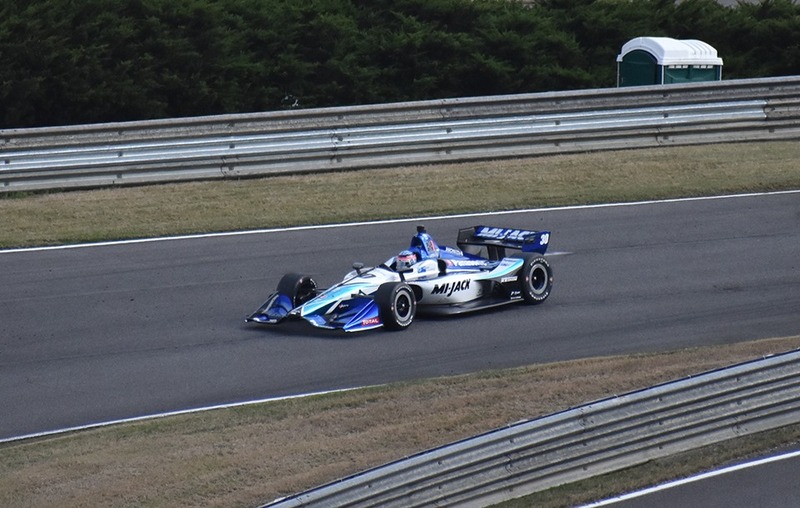 Graham Rahal had a couple of issues and dropped back before falling out, but Sato’s car seemed to be in a class of its own. Keep an eye on him at Long Beach next weekend. That is going to do it for us this weekend. We have a long drive back to Nashville tonight and it is still 6:45 pm as I type on Sunday night. Susan will be driving back as I type up my Random Thoughts for Monday morning. Thanks to everyone for following along this weekend. 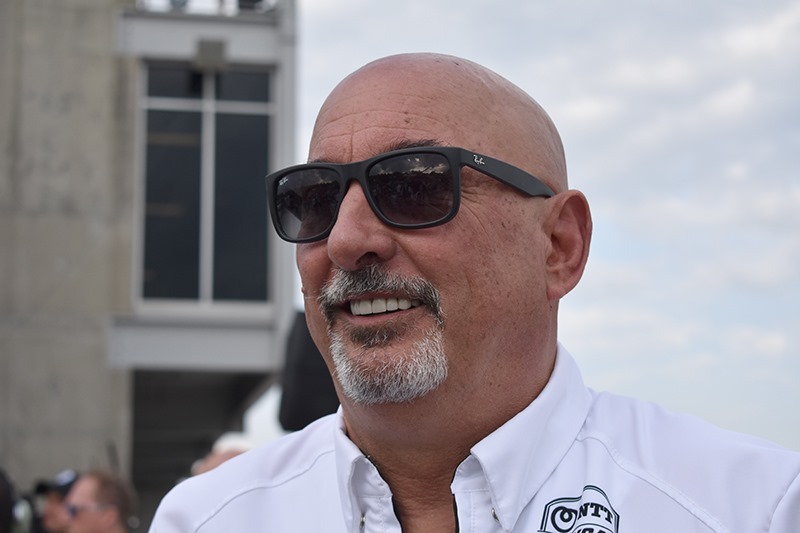 This entry was posted on April 7, 2019 at 6:46 pm and is filed under IndyCar. You can follow any responses to this entry through the RSS 2.0 feed. You can leave a response, or trackback from your own site. 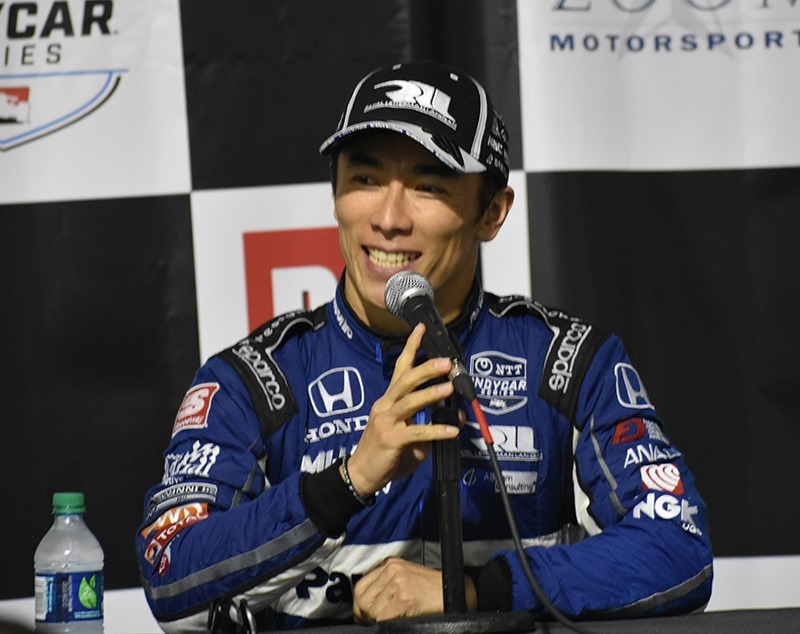 Slight correction, he’s won two out of the last five (Portland, Sonoma, St. Pete, COTA, Barber). I’m with David. I’ve never owned a scanner but I do have a set of noise-cancelling headphones with a radio built in that I always take to the races so I can listen to the radio broadcast. Phone app never works because cell service tanks once the stands start filling up. I really want a scanner though, maybe Santa will bring me one this year. Also, even though there wasn’t much happening up front I found the race to be very entertaining, as Barber usually is.